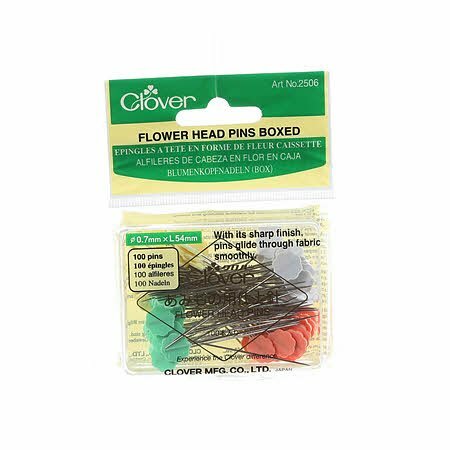 Thicker size of Flower Head pins. The flat head is convenient for machine stitching. Head is not heat-resistant. Do not apply iron directly. Size is .70mm x 54mm.